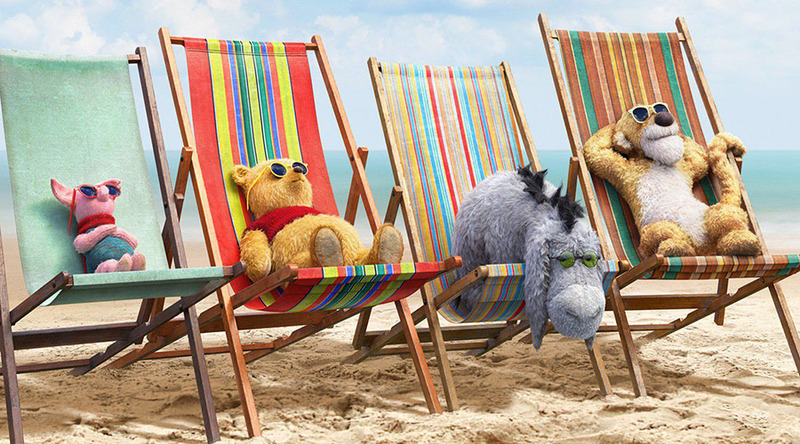 There is a nostalgic feel to Christopher Robin that harkens back to the days when Disney films informed your childhood and gave you simplistic views of how good the world could be. You overcame obstacles, became a better person because of it and then lived happily ever after. Now weather those lessons had any longterm positive effect or not, they did provide a lot of feel good moments. Christopher Robin’s lesson is a simple one but it’s told in such a charming and childlike way that it can’t help but draw you in and give you a case of those old time warm and fuzzies. Christopher Robin (Ewan McGregor) has left his childhood dreams and fantasies far behind him after serving in World War II and has become a workaholic. The neglect of his wife and young daughter inform this story. One of Christopher’s childhood fantasy friends Winnie the Pooh (voiced by Jim Cummings) traces him down in London and so begins this live action adventure. It would be easy to dismiss the positive effect of this cinema experience by picking at the seams of its reality. This however would deprive one of the enjoyment of one of Disney’s most successful excursions into its past. Decidedly feel good in its intent and execution, this film is a joy.